The horse racing industry in Pennsylvania has provided opportunities around the state for small business owners to find their niche. One of those, is the Red Barn Equine Outfitters – in business since 2009 in Lebanon, PA. Michelle Jeffries, owner, grew up in the industry, her parents trained horses since the 1960s. Red Barn Outfitters’ main location in Lebanon has over 3,500 square feet of inventory for all types of equestrians. 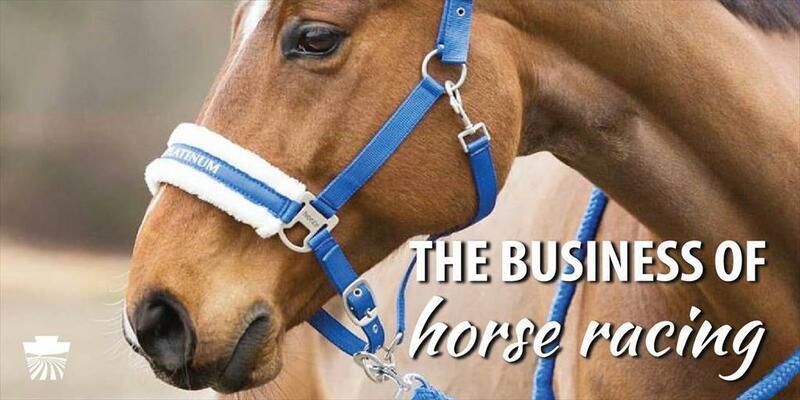 They offer horse feed, shavings, pelleted bedding, supplements, other supplies and tack. In addition to supplying many local trainers and owners with daily supplies, Red Barn also supplies out-of-state horses visiting local Pennsylvania tracks with the supplies they need while racing. Red Barn’s secondary location is in Grantville at Penn National Race Course, a convenient location for jockey’s in need of supplies on live racing days! This location sells jockey supplies including race pants, goggles, gloves and more.